The first thing we learned that it was wet, wet and wet. The second thing we learned was that Sebastian Vettel is the rising star of the future. On second thoughts, forget the future, he is already a star, winning his first Grand Prix in conditions that beat everyone else. To finish 12 seconds in front of a McLaren, acknowledged as one of the best cars on the grid, while he was in a Torro Rosso, acknowledged as one of the poorest cars on the grid, was simply sensational. A very well deserved win, driven with maturity that belies his 21 years. The new Schumi? He could be, and without the personality flaws! Let’s go back to Qualifying before we look at the race. I have it on good authority that McLaren had placed a Moses sticker on the dash of Lewis Hamilton’s car, rather than the more usual St. Christopher medal. This was to part the waters so that Lewis could go straight to the top while fitted with intermediate tyres, while everyone else was on extreme wets. And to compound the problem, McLaren kept him in the pits waiting for God to turn off the water from the heavens. By the time he got out, there was not enough time to come back in and fit the correct tyres, so the boy wonder qualified 15th and thus compromised his race from the outset. This is a world championship team? Who is making these decisions at McLaren (like keeping Hamilton on worn out tyres, showing canvas, at the Chinese GP last year)? Probably the cleaning lady. Now, forgetting the hype and the excuses, Heikki Kovalainen (McLaren) hardly covered himself with glory, even though he did finish second. He is certainly not showing himself to be a leading driver. Solid, dependable and dull (like his performance at interviews). Kubica, of the scythe-like aerodynamic nose, had a good race, well timed pit stops, going to the intermediate tyres at just the right time and deserved his third place. His publicist should tell him to smile at post race interviews, however. For a driver who gets a multi-million dollar salary and has just signed another two year contract with Ferrari, Kimi Raikkonen’s drive was amateurish, at best. Qualifying almost as poorly as Lewis Hamilton (14th grid position) he languished in the middle of the field and then suddenly at the end produces a string of fastest laps. He should be made to stand outside the headmaster’s office on Monday with his excuse written out 100 times. Massa kept it all on the island and his sixth place was as good as he was going to get. No fire, no brilliance. Massa has always been known for his lack of consistency and he demonstrated that again at Monza. He is in the box seat to become world champion this year, but if he does, he doesn’t deserve it. When a ‘top’ driver says, “I tried to attack Heidfeld (BMW) but then I thought it wasn’t worth taking too many risks and I chose to just bring the car home.” Not the thoughts of a champion in my book. Mark Webber in the sister Red Bull team to Sebastian Vettel had qualified third but then faded from view after the first pit stops, as he always seems to do. He did mount a late race challenge, but it was a ‘too late’ challenge and he was certainly beaten on the track by both Massa and Hamilton. With Vettel as his team mate next year, he will have to pull his Nomex socks up. The next race is in Singapore on September 28, and at night. Pray for rain. Last week I mentioned that when we pull up at the traffic lights, why should we remember Herbert Frood? That was easy, as Herbert Frood was the father of ‘Ferodo’ brake linings - which became popular after 1905. So to this week. The trend to rear engined Indy cars is often thought to have come after Jack Brabham raced the rear engined Cooper-Climax at the Brickyard in 1961. However, was he the first with this layout? It is the avowed intention of Hyundai to be in the top five auto manufacturers in the world. To get to that objective, they have tightened up their quality control, so much so they have recently scored very well in customer satisfaction and expanded their vehicle line-up. Last year, for the first time ever, the Hyundai brand produced the most leaders on Strategic Vision’s Total Quality Index™ (TQI), leading in three segments. The 2007 results were based on the ratings of new vehicle owners in 19 product segments. The only other brand to produce three leaders was Nissan. Hyundai Motors had a total of five leaders (the Kia brand earning two more), Ford Motors and BMW Group each earned three (one for BMW, two for Mini); GM, Honda, and Mercedes each earned two with Dodge, Lexus and Volkswagen each earning one. Hyundai are producing a vehicle to run against Mercedes-Benz in the luxury car segment this year (Genesis), and have a new small car, which is a potential leader in the fuel efficiency stakes as well. 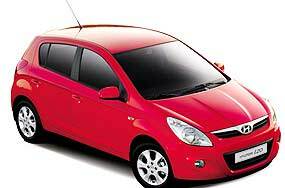 This is the new i20. Hyundai claims the diesel version of the i20 will use just 4 liters per 100km, less than the Fiat 500 diesel (4.2L/100km) and the Toyota Prius (4.4L/100km). This would also make it conform to some of the guidelines for Thailand’s eco-car. The i20 is the second small hatch to be designed at Hyundai’s European Design Centre in Russelsheim, Germany, following the release last year of its bigger brother, the i30. As with the i30, the i20 has been designed to appeal to European driving tastes, which means it is likely to have excellent road holding, brakes and steering. It is said that the i30 is the best handling Hyundai yet and the i20 is likely to retain the focus on increased driving enjoyment. The interior fit and finish will be a big leap forward following on from the quality parameters that Hyundai has set for itself. The exterior design is also a big improvement over the Korean maker’s current offerings, with sharp European lines reminiscent of the Volkswagen Polo. In a press release, Hyundai Motor Europe president Kun Hee Ahn says the i20 will offer more standard equipment than its European rivals, as well as more interior space, strong fuel economy and competitive road manners. In January of this year, Hyundai Motor also launched its new rear-wheel drive Genesis luxury sedan, a car the South Korean company sees as its ticket into the ranks of the world’s top-end automakers. Hyundai Motor said it has invested 500 billion won ($533 million) to develop the Genesis over the past four years, and sees it as a competitor to luxury models such as Toyota’s Lexus and similar European cars from BMW and Mercedes-Benz. The new generation of the Ford Fiesta (and its Mazda twin, the Mazda2) will be built at the Auto-Alliance plant in Thailand (AAT). This is the plant at which the Ford Ranger and the Mazda BT50 are built, and they have earned good reputations outside of Thailand for their quality. Locally this region is known as the ‘Detroit of Asia’ with the GM plant next door, and scores of automotive suppliers in the vicinity. The Thai government settled on promoting the manufacture of automotive products and electronic consumer goods as two additional props for the local economy and followed the model established by the Japanese, with the Thais developing the domestic market for vehicle sales by low tariffs for the one-tonne pick-up segment before turning an eye towards exports. 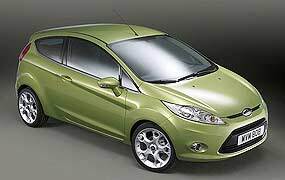 With the world waiting for the Fiesta/Mazda2, the AAT plant should return the investment by Ford/Mazda very quickly. Chevy Volt - electrifying news! 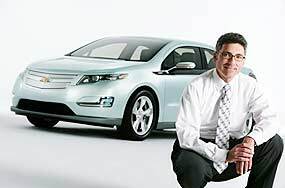 GM seems to be on target for the release of their electric car, the Volt, in 2010, complete with “accidentally” released photographs of the production vehicle. Whilst not as futuristic as the Volt concept which was displayed last year, it is still a clean looking design. The Volt is designed to run on an electric motor powered by a battery pack, which can be recharged from a standard home wall outlet. There is a very small petrol engine included in the package, but its only function is to drive a generator to recharge the car when running. The petrol engine is not mated to the transmission in any way, as opposed to the Toyota Prius or Honda Insight hybrids. GM is currently testing new lithium-ion battery packs that will enable the Volt to travel 65 kilometers when fully charged. After that, the small petrol engine will recharge the batteries to keep the car rolling at an equivalent of 1.5 liters of gasoline per 100 kilometres. GM says it will bring the car to market late in 2010. It is expected to cost $US30,000 to $US40,000 which, although expensive by US standards, is not totally out of the ball park.